PAULINE BAKES THE CAKE! : Sebastian's "No. 1" with Baby Tigger And New Friends! Sebastian's "No. 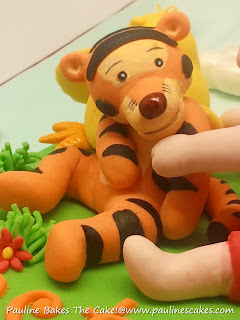 1" with Baby Tigger And New Friends! 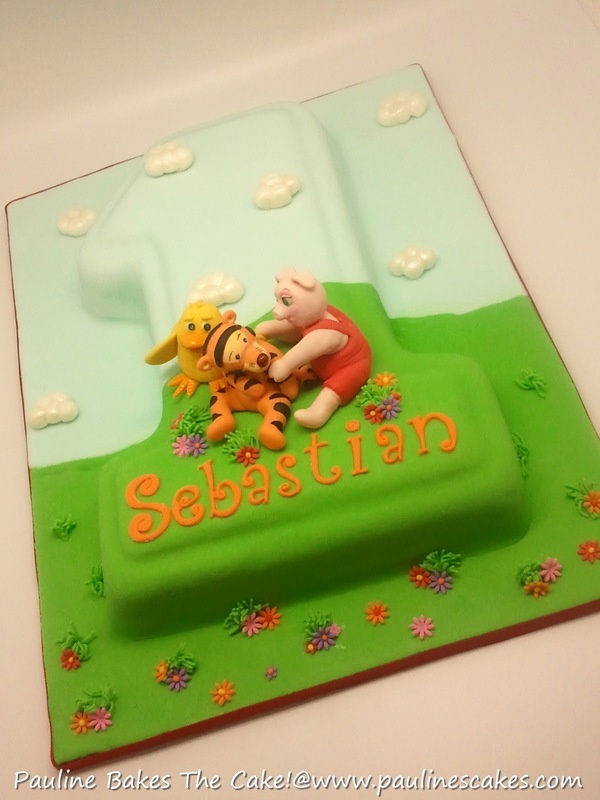 Sebastian celebrated his first birthday with a number "1" shaped cake, commissioned by his mom Chermayne. 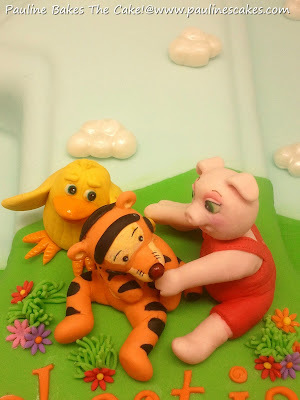 She requested for a scene where Disney's Winnie the Pooh's Tigger, a pig and a chicken are sitting together amidst grass and flowers. Here's my interpretation! 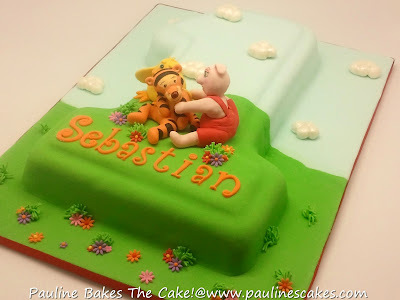 For extra cuteness, I decided on the baby version of Tigger! 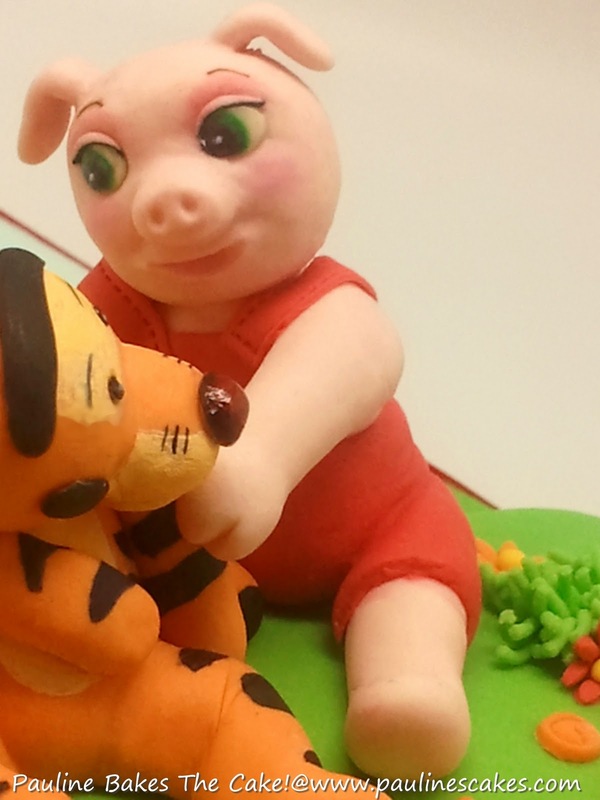 My own creation... "Hugging Piggie" in a red jumpsuit! Made this "Cheeky Chick" instead of a chicken! 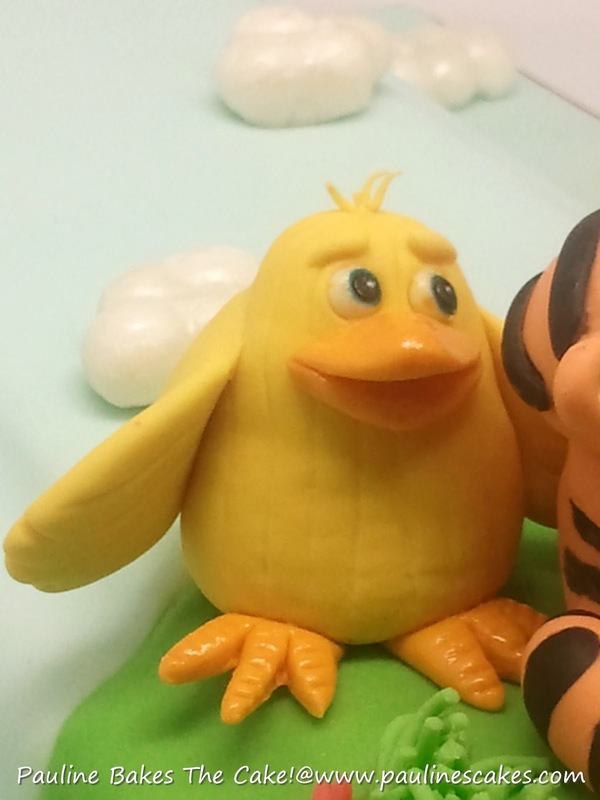 Original design of the "Cheeky Chick" is by renowned sugarcrafter, Lorraine McKay of Extra Icing On The Cake!. 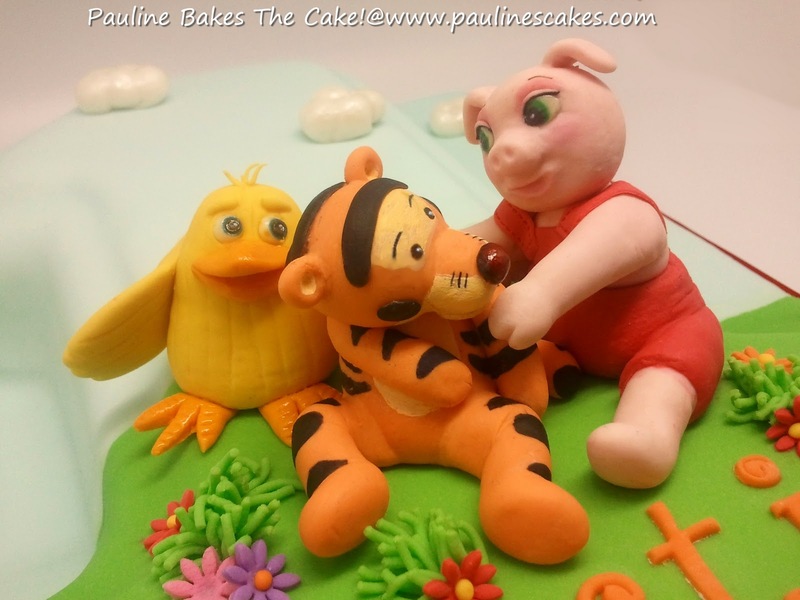 Put them together and we have... Baby Tigger and his new friends! On top of Sebastian's Cake! Top view with pearly, bubbly clouds in the background! 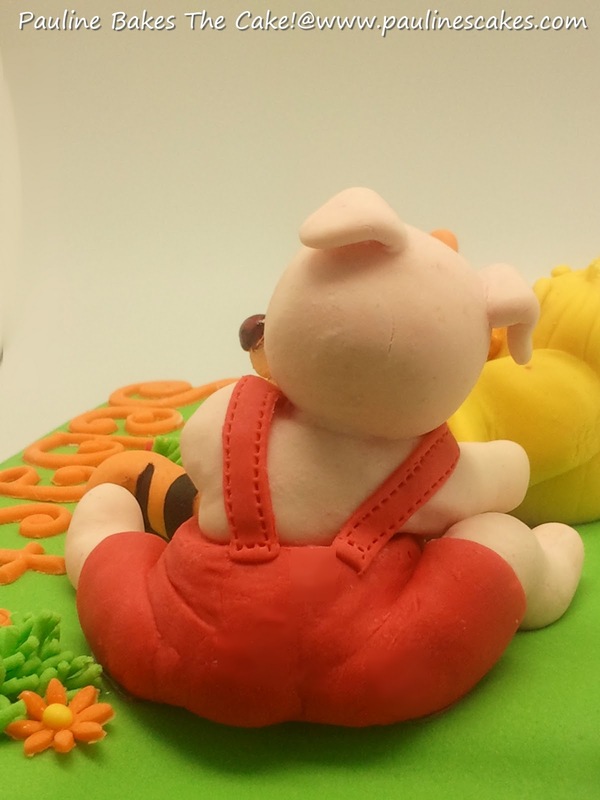 Back view of my piggie! Ha! Ha! 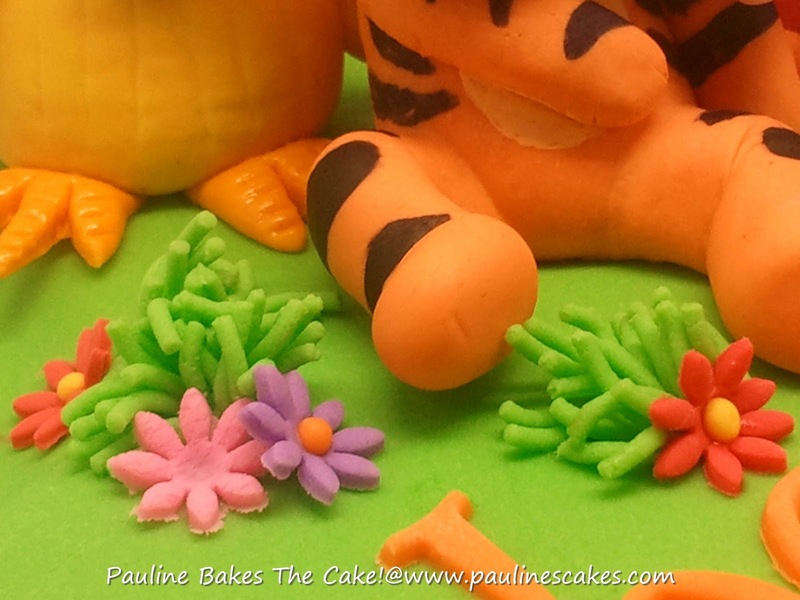 Closeup view of fondant grass and bright, colorful flowers! Christmas 2011 "Snow Child" Figurines!